Already racing ahead at the box office, Iron Man 3 has been celebrated for capitalising on the good work Robert Downey Jr. put into The Avengers (2012) and is seen as revitalising the Iron Man franchise after the lacklustre reception of Iron Man 2. Like a number of sequels (Step Up, Men in Black) the third instalment is serendipitously in 3D and Iron Man 3 seems happy to make use of all the spectacular effects that stereoscopy can add to the contemporary action blockbuster. Also like other franchises that now have stereoscopic versions, the dynamic change to the visual field that 3D filmmaking brings is missing from any discussion beyond that of advances in special effects. Iron Man 3 begins with a return to 1999 and this is made emotively nostalgic by the use of the iconic 1999 dance hit, Eiffel 65’s ‘Blue (Da Ba Dee),’ as the film passes over the Paramount credits and into the diegesis. At the same time that we are given a greater back-story to the Iron Man history we are naturalised into feeling as if we have always seen Iron Man in 3D. Even though protagonist Tony Stark’s voice over takes us through this journey in a form of direct address, no mention is given of this change in visual field from the previous ‘flat’ incarnation of Iron Man’s diegesis. It is an aspect that transpires in all film franchises when technology is updated from one film to the next: think of the changes to Gollum that have occurred from the first Lord of the Rings (2001) to the more recent The Hobbit (2012). The duty of the film is to make us believe that we have always seen the characters and their settings through the lens of the most up-to-date technology and, if successful, we will forget what the previous incarnations looked like. From now on, Tony Stark will most likely seem as if he has always been in stereoscopic depth. 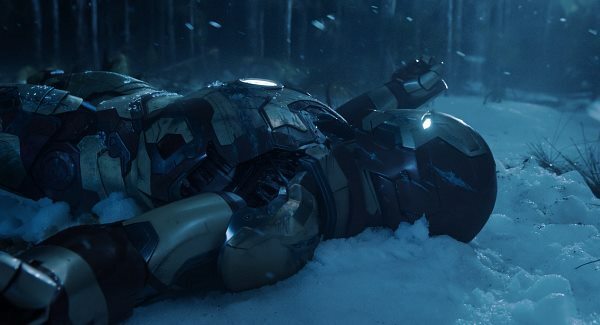 To this end, Iron Man 3 includes a number of stereoscopic tendencies that are being developed and re-envisioned again and again in contemporary action blockbusters: when Stark and his friend James Rhodes have an early conversation at a bar, the spatial configurations between characters and ordinary objects in the interior space are sculpted in depth; action scenes throw large quantities of embers and other burning material towards the audience in negative parallax; slow motion in explosion scenes allows stereoscopic debris to scatter around the auditorium in dramatic and dynamic ways; the protagonist is thrown underwater so that the thick tactile quality of liquid in stereoscopy can be utilised; and snow storms when Stark travels north create a palpable screen space that encloses both viewer and characters. The film also portrays extensive numbers of holographic screening devices that have been visualised in stereoscopic filmmaking since Avatar (2009). Although these devices are ostensibly used to further plot points in the way they allow data communication, they seem more concerned with showing spectacular digital visual fields that are not yet available in the real world. The first of these is the brain imaging device that antagonist Aldrich Killian brings with him when meeting Starks’s partner Pepper Potts. He first shows her a holographic display of the universe and then one of the interior of his brain. Both imaging sets take up the majority of the office where they are meeting and the placement of much of the imaging in negative parallax means that the data fields seem within touching distance of the viewer. 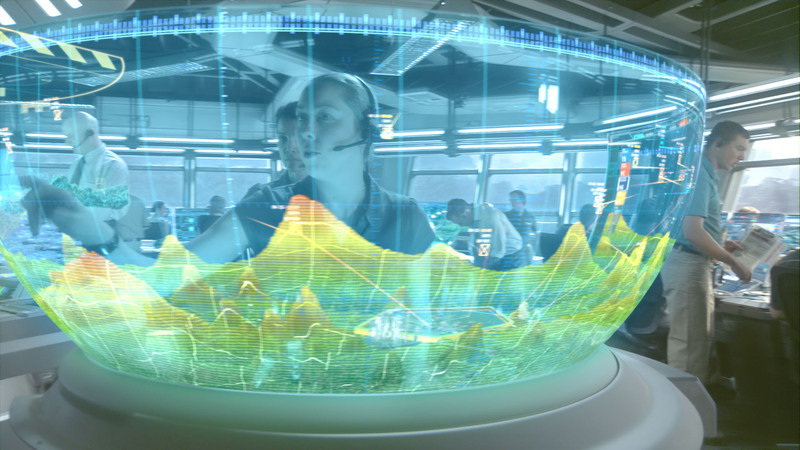 In a number of shots, Potts and Killian are placed inside the imaging set and, even though the images are only in front of us, it seems as if the audience is with them inside the visualisation of the brain. All of this is possible because the transparent nature of the holograms allows objects to be seen through and behind them. When combined with stereoscopic depth cues, there is a dynamic play between the different depth planes simultaneously available in the visual field. Although the brain display is the most vibrant use of holograms in the film, holographic displays return throughout. Stark has a miniature holographic display that functions like a mobile phone and both he and Rhodes have holographic displays inside their Iron Men suits. When Stark uses a holographic plan to recreate the explosion that occurred at Hollywood’s Chinese Theatre, the spatial mapping he undertakes becomes clearer in the stereoscopic depth configurations. 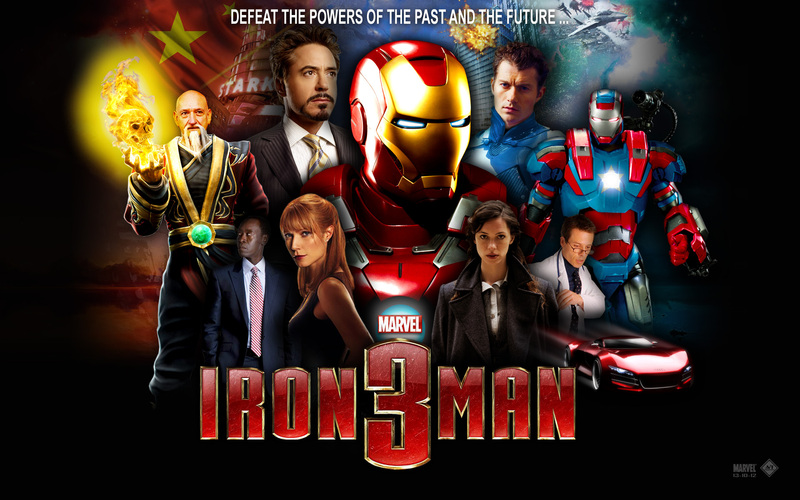 The one major difference between Iron Man 3 and other contemporary films using similar visual technology is the sense of self-reflexive play and humour throughout the film. The film’s humour does not just play with the superhero genre but also plays with the technological fetishization at work in many other 3D blockbusters. A common visual theme in recent films has been the use of a steam punk aesthetic to celebrate the tangible and material components of hard technology (Hugo (2011), John Carter (2012) and The Three Musketeers (2011)) or hyper-fast technological components (Transformers: Dark of the Moon (2011), G.I. Joe: Retaliation (2012), Resident Evil: Afterlife (2010) Tron: Legacy (2010)). 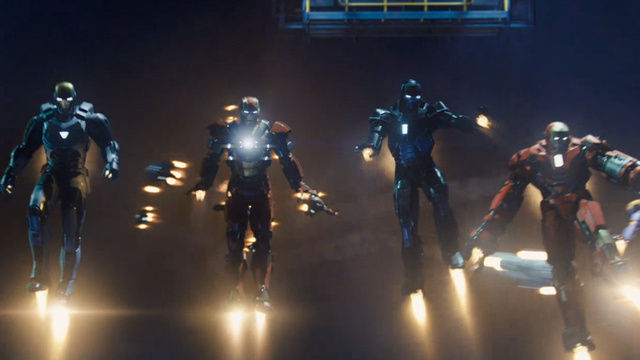 In a manner that reverts the trend for these aesthetics, Iron Man 3 enters into a type of camp technological aesthetic midway through the film. After Stark is stranded in Tennessee without his Iron Man suit he builds new weapons from a number of kitsch items: a young girl’s cartoon-faced electronic watch, Christmas baubles, and a roughly hewn home-made taser. Yet, as humorous as Iron Man 3 is, it does suffer from the common problem in technologically themed action blockbuster franchises: where to go to when the hero’s technological capacity and skills keep getting better and better. It was a problem that occurred in the final movie instalment of The Matrix: The Matrix Reloaded (2003) when Neo was given the ability to fly. After that point it seemed illogical that he would bother with any of the hand-to-hand combat that was part of his style and further action sequences were undermined by the knowledge that he should be able to fly his way out of danger. In Iron Man 3, Stark’s decision to call on his hidden store of multiple Iron Men when all seems lost begs the question of why he didn’t initiate the army days earlier. The army also begs the question of how there could ever be any true threat to Stark if he has the capacity to build such a tremendous force. In attempting to get around the pitfalls the plot has set up, Iron Man 3 creates a narrative around Pott’s fear of the technology and its potential to go wrong in order to negate these problems. Nonetheless, it seems as if these aspects have been tacked on in order to get the plot out of a technological end-point that it has worked itself into. No one would claim there haven’t been some silly films made in 3D in recent years: Men in Black 3 (2012), Abraham Lincoln: Vampire Hunter (2013) Hansel & Gretel: Witch Hunters (2013), Bait 3D (2012), Piranha 3D (2010). In many ways G.I. Joe: Retaliation’s (2013) Hasbro toy source material gives it ample excuse for throwing away the finer points of narrative development and character exploration. Why worry about plot and story when you can use every technological development in recent film history to create increasingly absurd action scenes. 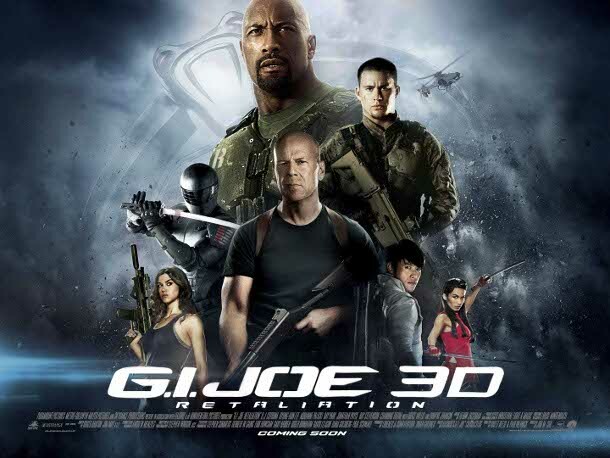 CGI, stereoscopic effects and intense use of green screen filming are combined in a film about some evil antagonists (it is never entirely clear who they are), some soldiers led by one named Roadblock, and a plot to: destroy the planet with nuclear weapons/install a military dictatorship/disarm the planet’s nuclear weapons (it is also not clear which of these is the main aims). Although it often feels as if the script were given to a group of excited children with the mandate to let their imaginations run riot over real world logic, there is at least an attempt to provide a fantasy outlet for male and female fans alike. In contrast to recent Hollywood blockbusters (Oz the Great and the Powerful (2013), Jack the Giant Slayer (2013)), the female lead in G.I. Jose, Jaye, is given equal opportunity to flex muscle and computer skills in the film’s ostentatious battle scenes. While based on the Hasbro series of action figures, comic books and cartoons, G. I. Joe seems to pay greatest debt to the media franchise’s foray into video games as well as the development of visually sophisticated games in recent years. The structure of endless cycles of death (or near death) and rebirth in Hollywood actions films as well as the tendency to set increasingly difficult missions for character to complete are well known to mimic the reset function and task based narratives familiar to gamers. 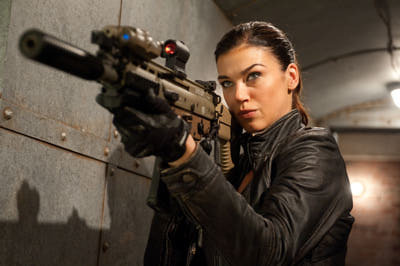 G. I Joe has all these elements as well as a propensity to limit our engagement with the death of secondary characters. There are numerous ‘baddies’ beyond the principal antagonists, Zartan, Storm Shadow, Fire Fly and Cobra Commander, but they are given no sense of individuality. Unlike the main antagonists, the henchmen are usually wrapped in headgear that makes it impossible to distinguish them. This takes place during the drop into a Pakistan arms factory where the enemy faces are all covered by scarves and again when lycra balaclavas are used in the battle in the Himalayan Mountains. In many ways, the nod towards gaming form and aesthetics opens the path for a presentational mode that acknowledged the audience. Although the characters never break through their diegetic world in order to address the public directly, the film make frequent use of negative parallax (stereoscopy’s ‘pop-out’ effect) in order to make it clear that it interacting directly with its viewers. 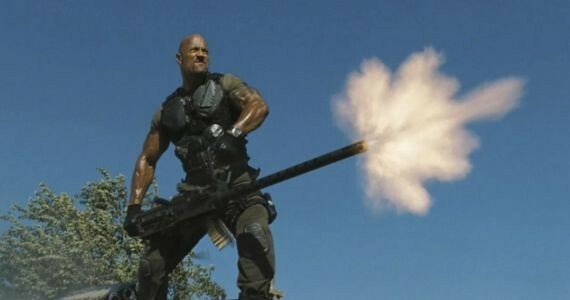 While critics deride negative parallax’s gimmick effect, G. I. Joe revels in the ability to point and throw objects towards its audience. At the beginning of the film, the barrel of a gun protrudes into the auditorium but is out of a focus in a way that suggests the film will avoid overt use of negative parallax. Nonetheless, only a few scenes later, numerous weapons are thrust towards the audience and this tendency only increases throughout the film. 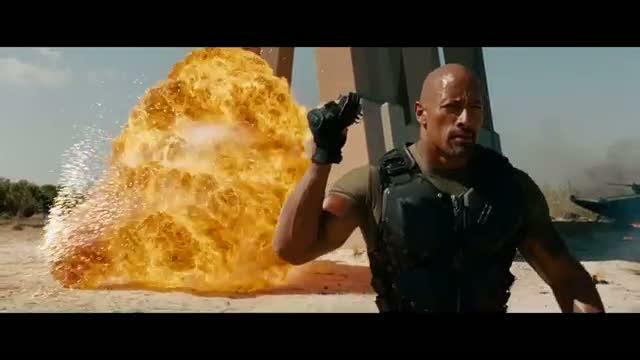 There are a large number of scenes with explosions and almost all utilise negative parallax in order to throw embers and other stereoscopic debris towards the audience. In one of the battles in Pakistan, the aspect is enhanced when the exploding embers are executed in slow motion, making the overt negative parallax even more obvious. The potential negative parallax has for thrusting weapons towards the audience is often utilised with a type of phallic intention in 3D cinema. In G.I. Joe the constant fetishization of military arms leans towards this tendency yet there is (whether intentional or not) a sense of camp play throughout the film that makes it hard to take any of the plot points seriously. The male G.I. Joes’ muscles bulge around the screen space in a hyperbolic manner and the ‘boys toys’ are a source of sexual glee rather than a serious military endeavour. As if to drive this point home, two of the G.I. Joes attempt to shoot the candle of a cupcake towards the beginning of the film. Later, when Zartan (disguised as the US president) tells us ‘everybody wants to rule the world,’ it is impossible not to remember Tears For Fears’ 1980s pop synthesisers. While these various aspects mean that G.I. Joe will struggle to become a modern classic, the film does make effective use of stereoscopic techniques. During the film there is a real sense of a varied depth budget that is willing to create deep space throughout. When at one point a buzzing electronic insect appeared from down left of the screen space to surprise Roadblock, I jumped with my own sense of surprise. The insect seemed to appear in the auditorium space first and moved into the film’s space second. G.I. Joe also makes use of the tactile stereoscopic field created by liquid in two separate sections. In the first, the Joes hide from an attacking enemy by submerging underwater in a deep well shaft. The shots underwater fill the auditorium with a sense of thick penetrable liquid which is enhanced by the tension on the characters’ faces as they hold their breath. In another section, Storm Shadow, Cobra Commander and Destro are encased in liquid filled tubes. Numerous shots are shown as if from inside the tubes and the bubbles that stream around the screen space created a bridge between the audience and the assumed subject position of the captured characters. It is hard not to feel the tangible difference of screen space in these shots when compared to non-liquid shots. It is difficult to justify watching G.I. Joe on a 2D screen as there is very little that makes the film memorable but the stereoscopic effects do at least make the visual field sufficiently engaging to endure the 110 minute running time. There has been a recent trend for stereoscopic versions of well-known fairy tales (of which The Wizard of OZ can be included) and, as always when visiting well-loved traditions, there is a tension concerning how they are updated for our contemporary world. We are privileged and unfortunate to live at a time when racial, gender and sexual diversity are increasingly celebrated but not yet fully equalized. 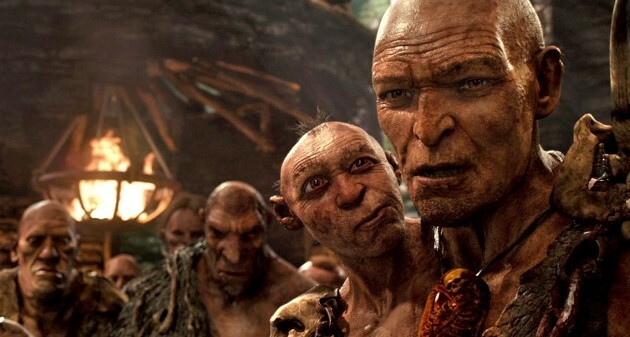 Manifestations of this state appear in our popular cinematic culture and for this reason Jack the Giant Slayer (2013), a film that purports to be a simple tale of a boy, his beans and some giants, cannot be taken as neutral expression. The film’s main addition to the beanstalk tale is the introduction of a Princess love-interest who Jack has to rescue when she is accidently thrust to the top of the beanstalk and deposited in the land of the giants. At the beginning of the film Princess Isabelle appears to be given equivalent protagonist status to Jack when scenes of Isabelle listening to her mother reading the history of the giants’ land are intercut with equal measure to scenes of Jack hearing the same tale from his father. Isabelle is then set up as a feisty and rebellious young woman who is inclined towards adventure as much as any of the typical heroes in traditional fairy tales. 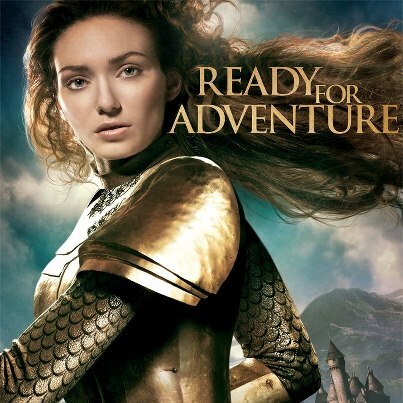 This set-up infers that the film will subvert the stereotypical princess narrative in which she plays second fiddle to her suitor and ultimate saviour. Not so, unfortunately. Although Isabelle wanders into the land of the giants with adventurous spirit, she is soon trapped and in need of help from both Jack and the secondary male hero, the King’s general Elmont. Once saved from the grip of the giants, Isabelle clings to Jack on the descent down the beanstalk with pitiful words, ‘hold me Jack.’ Even though she previously demonstrated her horse-riding skills she returns to court behind Jack, clutching him on the back of his horse. After some action packed battle scenes, the head giant Fallon is defeated and the stage is set for the finale. It was at this point that I expected the film to finally deliver its twist and redeem Isabelle from her servitude to the eponymous hero. In the courtyard of the castle the giants bowed their heads, Elmont directed the audience’s attention to the new ruler of the giants standing behind him, a moment of suspense was built…and then Jack stepped forward with the giants’ crown. He took up his position as ruler, Isabelle fell into step beside him and the long tradition of patriarchal happy-ever-afters was firmly embedded once more. In addition to the regressive gender politics, there is a strange rendition of the British Isles in Jack the Giant Slayer. While the film does not try to set itself within any specific period of British history the characters do refer to where they are as Albion. In the way that only Hollywood can achieve, the human characters have a strange mix of pseudo English accents. In contrast, the giants are given thick Northern Irish enunciation. While actor Bill Nighly takes credit for this decision, it does not appear as if anyone from the production company have thought through the implications of making the grotesque English-hating race Northern Irish at the same time as tensions continue to simmer in the Western outcrop of the British Isles. While I am sure there is much more that can be said about the politics of representation in this film, (and what is says about contemporary Hollywood) the reason I went to see Jack the Giant Slayer was in order to evaluate the use of stereoscopic technology in the film. Through fortuitous travel plans I was able to see it in the Buenos Aires IMAX, the first time I have seen a 3D film at an IMAX theatre since Avatar (2009). In the IMAX screening, there is a type of scale to the images that makes them appear imposing. This is, of course, an apt quality for a film that is about giants and their greatness of size. One of the most interesting aspects of the film (which sadly says a lot about Jack and the Giant Slayer) was the Warner Bros insert that appeared at the beginning. Even though the widescreen aspect ratio meant that black borders were left at the top and bottom of the screen space, the negative parallax effects that projected the letter’s gold bands into the screen space seemed to completely overwhelm the auditorium. When the film’s narrative began, the moving images were much flatter although there was a lot of gentle negative parallax. This became clear when watching the film in Argentina as subtitles were placed along the bottom of the screen space, within rather than below the filmed images. In contrast to film’s such as Avatar (2009) that place subtitles within the diegesis, these subtitles remained at zero parallax and had a tendency to cut through objects that were displayed in negative parallax, making it obvious that the objects were constituted by projected light and did not have any solid physicality. Another aspect that was apparent in the IMAX screening was significant amounts of cross-talk, quite possibly due to the polarization systems used in the IMAX 3D display technology. Although much of the film is quite ‘flat’ in its use of stereoscopic effects, it does include striking use of rain to create a conduit between the space of the film and the space of the spectator. Both Jack and Isabelle have scenes where they are captured in strong downpours and in each case it seems as if the rain is a permeable and always shifting partition between actor and audience. In later scenes the rain lets off and the striking effect is reduced but nonetheless continues to add to the palpable quality of the images. There are also a number of scenes that exploit the thick, tactile spaces that can be created when liquid fills the screen space (successfully employed in previous 3D films such as Titanic 3D (2012), Bait 3D (2012), Life of Pi (2012) and Piranha 3D (2010)). In the first of these scenes, Jack hides under water when a giant approaches. The tension as he holds his breath is enhanced by the claustrophobic sense that the auditorium is also aquatically submerged. Later, Elmont and the antagonist Roderick fight under water near the top of a waterfall and then in a major battle scene, Fallon falls into and swims through the oil infused moat water. In each case, the space between audience and characters takes on its own tangible quality. Like most contemporary 3D action films, the use of negative parallax increases as the film continues. When the battle scenes between the giants and the humans intensify, typical stereoscopic debris – clods of earth, red-hot embers, exploding masonry, splintering wood – is flung around the screen space. There is also a particularly visceral scene when Jack drops the remaining magic bean into Fallon’s mouth. The curved surfaces of the bean hang in negative parallax before the bean begins its fall into his mouth. The shot then changes to one from the POV of the bean and the film undertakes a type of phantom ride into Fallon’s slimy and grotesque gullet. Throughout the film there is quite a bit of what Matthias Stork calls ‘chaos cinema.’ Stork suggests that recent Hollywood films have become overstuffed and hyperactive and one of the main results is that editing during action sequences is constructed in such a way that the pace and energy of the action is maintained but the actual events are intelligible. 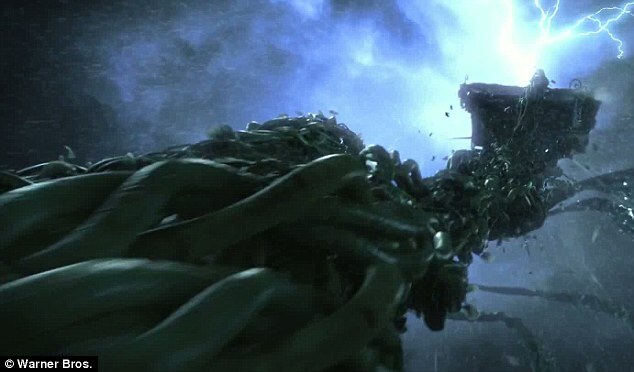 When the beanstalk grows for the first time in Jack the Giant Slayer, rain lashes the scene and strands of the stalk seem to grow in all directions at once. There are abrupt edits and a multitude of changing directions in camera movement within the scene. All of this actions is ‘filmed’ (in reality it is constructed digitally) close to the beanstalk meaning that it is impossible to get a concrete perspective on how and where the beanstalk is placed. It is only later in the film that brief scenes of the beanstalk are shown from a distance. It is a shame because the scale of the beanstalk and the size of the giants are the defining features of the original fairy tale. Stereoscopic effects offer the perfect opportunity to demonstrate this scale and size but they are under-utilised in favour of a chaotic filming style that prefers a montage construction of space to the representation of objects in deep space. 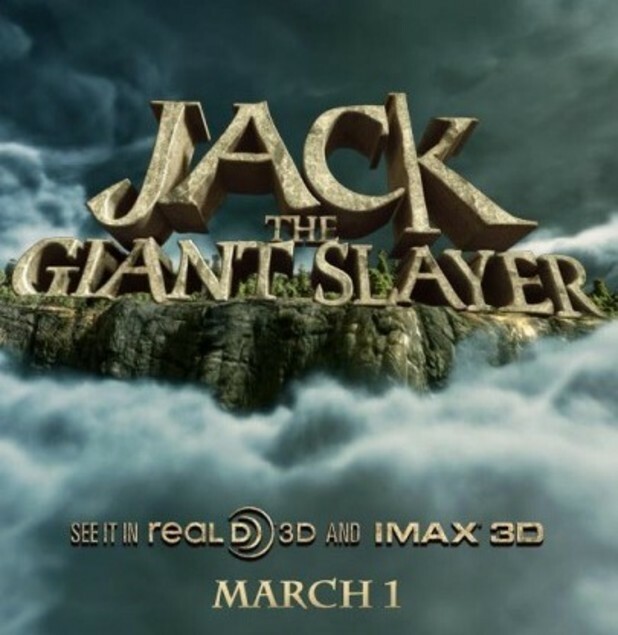 Through its use of similar tropes and technologies to other contemporary stereoscopic films, Jack the Giant Slayer claims its place in the digital era of 3D films. 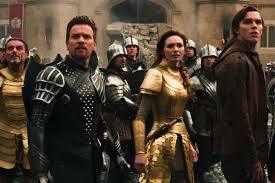 There has been much focus on the poor narrative quality of many recent 3D films and Jack the Giant Slayer is yet another film that misses the opportunity to undertake a more dynamic and progressive combination of stereoscopic technology and narrative filmmaking.